Welcome to Online Turf. Our Manchester turf supplies are grown on our farm in Ormskirk, located in the North-West of England. We grow all of our turf from seed and can deliver turf to Manchester on a next-day basis. Our beautiful Manchester turf can be viewed on our turfcam which has a great view of today’s turf. Why not try reading our feedback to see what other customers think of our Manchester turf and service? We deliver freshly-lifted turf to you within 24 hours of ordering, or at a later date that’s more convenient to you. 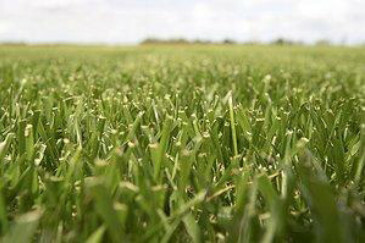 We provide a weed-free quality guarantee so you can be confident that you’re buying top quality turf. If you have any questions at any stage, please use our contact page, email or telephone us on 01695 422144 (fax 01695 424251). We will be delighted to help you.